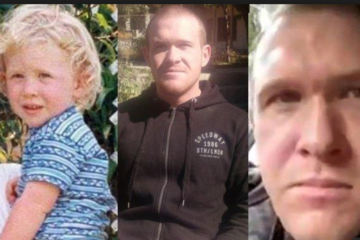 Importing these low-IQ, violent Brown people — who evidently don’t even know who their friends are — will destroy European civilization and exterminate our race; and these things would still be true even if there were no such thing as Islam. ASYLUM SEEKERS, angry at the slow progress of their paperwork, attacked and burnt down offices at a camp in Lesbos, Greece. The attack happened while interviews with fellow migrants were taking place inside, officials say. The European Asylum Support Office’s (EASO) mobile registry at the Moria camp was besieged on Monday morning by mob of around 70 refugees hurling stones and petrol bombs. At least eight containers were seriously damaged, with at least three of those burnt down to the ground. 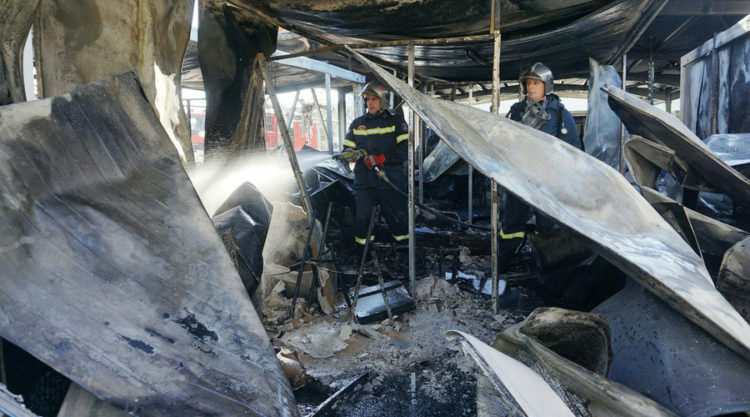 Spokesman Jean-Pierre Schembri said the attackers threw petrol bombs at the EASO facilities while staff members were conducting interviews with fellow asylum-seekers inside. Smoke from the fire reached the nearby village, leaving locals complaining about constant trouble from the refugee camp. The asylum seekers, mostly from Pakistan and Bangladesh, were frustrated at the delays in their asylum applications which has left them languishing in Greece for months on end. The migrant camps are squalid and overcrowded, while crime and sexual abuse are rampant. According to government data cited by AFP, five Greek islands are hosting around 13,000 refugees when their capacity is only 8,000. There are 5,322 asylum-seekers on Lesbos alone, police data show. Although the flow of asylum seekers has been slowed thanks to a new agreement with Turkey, new arrivals are still coming. Three hundred and thirty people have landed on the islands of the North Aegean in the last three days, 116 of whom came to Lesbos. Speaking to RT on Saturday, Lesbos Mayor Spyros Galinos said that the EU is not trying hard enough to shoulder responsibility fairly, leaving Greece to deal with the brunt of the migrant crisis. “EU policy does not help either Lesbos or Europe,” he said.